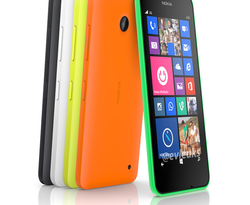 The Nokia Lumia 635 on AT&T is a fast and cheap smartphone that offers reliable performance. This phone uses the Windows Phone 8 operating system, which has slowly grown over the last few years to offer a decent experience for all of it’s users. Need help unlocking your Nokia Lumia 635 from AT&T so that you can use it on any network? We have a form you can use below to request an unlock code. Please make sure to read the guide carefully. With Windows Phone 8 powering this phone, the Nokia Lumia 521 features a 1GHz dual core processor and a touch screen that works with stylus pens, finger nails or even gloves. 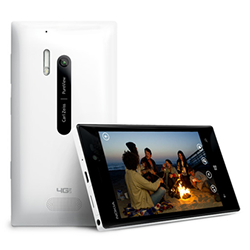 If you’d like to unlock your Nokia Lumia 521 so that you don’t have to use it on MetroPCS, please read on. We have a form you can use below to request an unlock code. Please make sure to read the guide carefully. We will need certain information about your Nokia Lumia 521 for us to be able to send you a working unlock code. A week after the Mobile World Congress and no announcements for any Windows phone, rumors started to appear, suggesting that Nokia will host a separate event to show the new lineup of smartphones for 2014. There are no official announcements, but leaking sources say that the dedicated event might take place on April 19. These sources have also put forward a picture of the new Nokia Lumia 630/635, just a few days before the MWC 2014, which shows the phone in several color options, similar to the iPhone 5c. Nokia Lumia 928 - Camera Looks Promising! It’s been an ongoing problem for camera phones and smartphone users, and despite the advances in smartphone technology, no manufacturer has managed to truly eliminate the shuddering of the camera as we try to keep it still whilst we walk or do other activities. However, Nokia has seemed to have done a pretty good job cutting down on the screen shake with their currently unreleased Lumia 928.